Nowadays men also concern about their personal grooming. However due to hectic lifestyle and constant exposure to polluted environment prove to be challenge for men to maintain good skin condition. 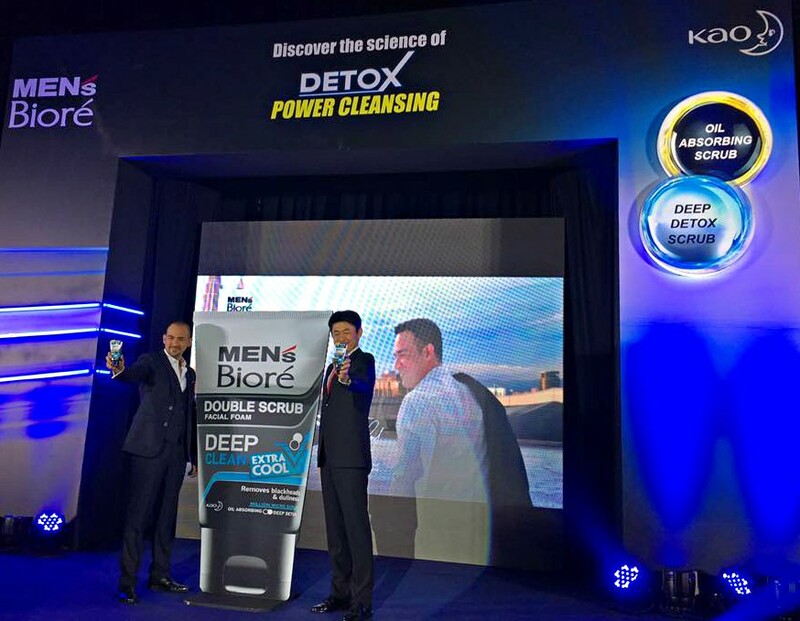 KOA Malaysia currently launched new series of Men's Biore Double Scrub with the usage of the Advanced Japan Million-scrub Technology. Men's Biore Double Scrub formulation has Detox power Cleansing and Oil Absorbing properties that target the root cause of various skin troubles. 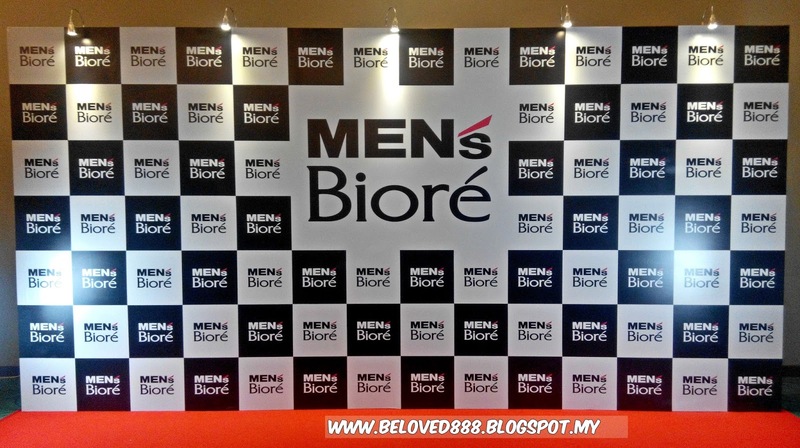 men's Biore has become No. 1 leading facial wash among men and is specially designed to cater young , active , outdoorsy Malaysian men. Sharnaaz Ahmad has been appointed as its new brand ambassador. He looks good during the meet & greet session. Sharnaaz is a firm believer of thorough cleansing to keep the skin healthy. As an actor, he has to keep his skin clean and look presentable. 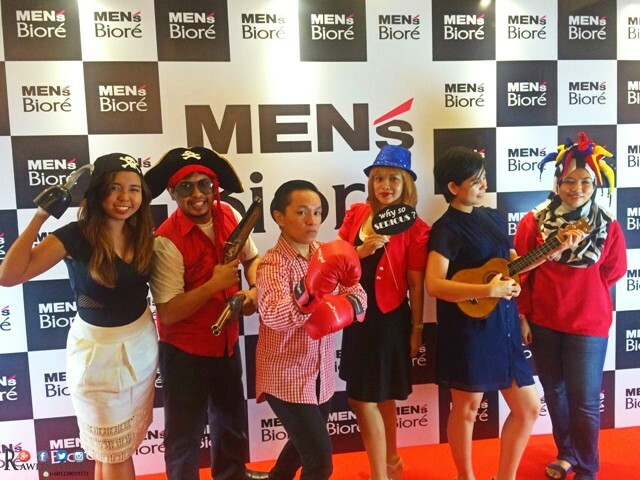 Men's Biore Double Scrub with Detox Power Cleansing is effective in flushing away impurities. Each of the five variants offers different functions and benefits that are suited to different men's skin concerns and preferences. Double Scrub Deep Clean contains Oil absorbing Scrub and Deep Detox Scrub that can effectively remove all impurities, blackheads and dull skin to unveil a clean radiant skin. Gives you long lasting oil control and completely clean skin in one step. Double Scrub Deep Clean Extra Cool has similar functions to the deep clean variant but comes with an extra cooling sensation. 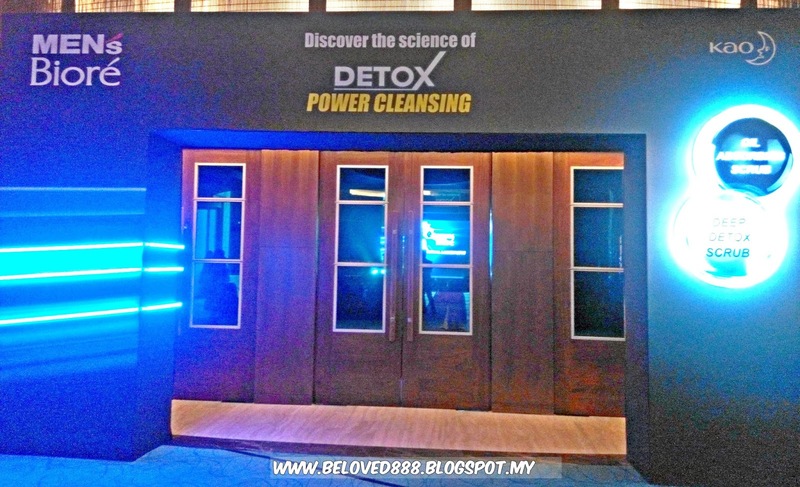 Experience an extremely cool and refreshing sensation upon application, especially after an exhausting work out/ sport activity. Double Scrub Oil Clear contains Black tea, Oil clear scrub and Deep detox Scrub. It provides excellent sebum control and anti-oxidant properties to effectively remove excessive oil & stickiness from the skin, resulting in long lasting shine free and matte skin look. It also leaves a fresh and cooling Sensation upon cleansing the face. Double Scrub Acne Solution, a great solution for acne-prone skin. Formulated with natural Tea Tree extracts, oil absorbing scrub and deep detox scrub. This antibacterial formulation works effectively to control acne that is caused by bacteria and clogged pores resulting from excessive oil and dirt. Skin will be revitalized while lessening the recurrence of acne and blemishes as well as reducing acne marks and dark spots. Double Scrub Bright Clean not only contains oil absorbing scrub and deep detox scrub but also an active charcoal ingredient that works effectively to deeply cleanse and exfoliate the skin for a cleaner, visibly brighter and even skin tone.